Thank you to the publisher for sending me this book via Netgalley in exchange for an honest review and for also allowing me to take part in this blog tour. 1813. Venetia Lovell lives by the sea in Kent with her pretty, frivolous mother and idle younger brother. Venetia's father, Theo, is an interior decorator to the rich and frequently travels away from home, leaving his sensible and artistic daughter to look after the family. Venetia designs paper hangings and she and her father often daydream about having an imaginary shop where they would display the highest quality furniture, fabrics and art to his clients. 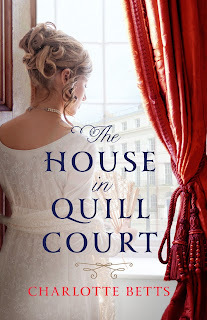 When a handsome but antagonistic stranger, Jack Chamberlaine, arrives at the Lovell's cottage just before Christmas bringing terrible news, Venetia's world is turned upside-down and the family have no option but to move to London, to the House in Quill Court and begin a new life. Here, Venetia's courage and creativity are tested to breaking point, and she discovers a love far greater than she could have ever imagined . . . I am slowly becoming more interested in historical fiction, having read a few books within the genre already this year. 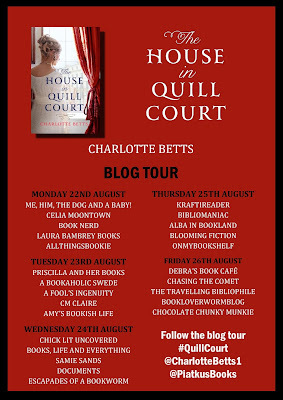 So when I was contacted asking if I'd like to review and take part in the blog tour for The House in Quill Court I was sold just by reading the synopsis. Even though I had read some Historical fiction, Historical Romance is something that I had never read before so I was really intrigued to read it and see what it was all about. It's 1813 and Venetia Lovell lives on the Kent coast with her mother, younger brother and father. Her father is an interior decorator to the rich and is often away from home leaving Venetia to look after the family. A woman of a creative mind Venetia often designs paper hangings to the praise of her father and both would often dream about owning their own shop where they would showcase furniture, fabrics and art. However, when her father suddenly dies Venetia and her family are moved to London to live in The House in Quill Court to begin a new life. It's here where Venetia meets Jack Chamerblaine and also where her courage and bravery is pushed to the limit. Amongst all the chaos happening is it possible that Venetia can find love in a seemingly dark place? What I liked most about this book was the setting. I didn't know much about London in the early 1800's, so although this was fiction I did feel like I got some sort of idea of what it was like to live in them times. I am a major lover of London as a city so it was just great to read about what my favourite city was like in that era. I was a bit disappointed that you didn't get to read about the famous landmarks but I knew that this was because the story was focusing on slight realism and that may have taken away from that feeling. However, despite this I did find it slightly hard to get into the story straight away. I did feel like it dragged on a bit and that it took until you got just past the middle until the plot really kicked in. There was a lot of building up that took place in the first half. The plot itself really did shock me as I wasn't expecting it. There was a lot of action within it for a romance and some of it really did get my heart racing. What isn't told to you in the synopsis is that the story is told in the eyes of two, not just one. It is told through the eyes of Venetia and also Kitty, the family's maid. Two women from two very different backgrounds. This I found was really interesting and it was in my opinion very clever to have the story in the eyes of two women who were completely opposites. I did like Venetia as a character. I found her to be brave, courageous and willing to fight for what she believed in. However, my heart was drawn to Kitty. You could call Kitty a tragic heroine. She did what she could to survive and even when things were at their lowest you could still see that she had hope in her heart. Parts of her story did reduce me to tears at times. Venetia and her romance with Jack was very very slow burning and although I usually like slow burning romances in books this one irritated me. I knew they were going to fall for each other from the moment Jack was introduced so the way it was going so slow did annoy me. I just wanted to shout 'just tell each other how you feel!'. It was very tedious. Overall I did enjoy The House in Quill Court despite the slow start to the story and the very slow burning romance between two of the main characters. It was a good introduction to Historical Romance and it certainly hasn't put me off reading more books within this genre. I may also look up more of Charlotte Bett's books. Charlotte Betts began her working life as a fashion designer in London. A career followed in interior design, property management and lettings. 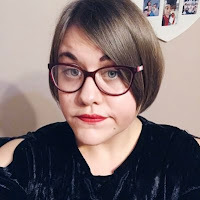 Always a bookworm, Charlotte discovered her passion for writing after her three children and two step-children grew up. 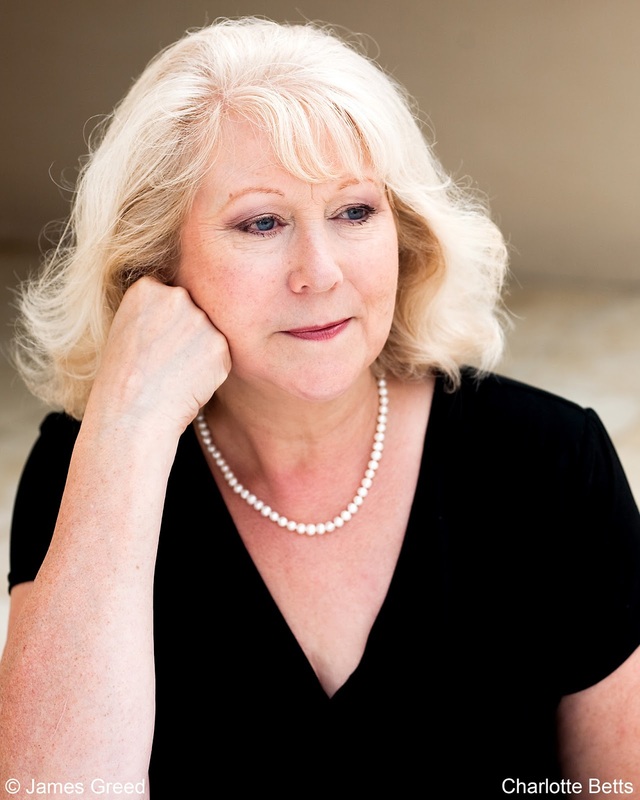 Her debut novel, The Apothecary’s Daughter, won the YouWriteOn Book of the Year Award in 2010 and the Joan Hessayon Award for New Writers, was shortlisted for the Best Historical Read at the Festival of Romance in 2011 and won the coveted Romantic Novelists' Association's Historical Romantic Novel RoNA award in 2013. Her second novel, The Painter’s Apprentice was also shortlisted for the Best Historical Read at the Festival of Romance in 2012 and the RoNA award in 2014. The Spice Merchant’s Wife won the Festival of Romance's Best Historical Read award in 2013. Charlotte lives with her husband in a cottage in the woods on the Hampshire/Berkshire border.